As I mentioned in the reflection this week, there are so many connections between the onset of Spring and Lent moving towards Easter. In both instances, we begin to see shifts happening. 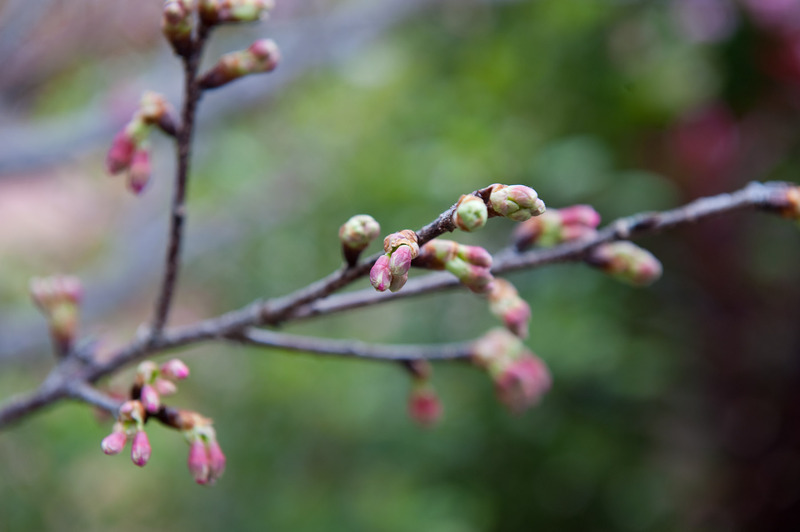 Changes are being made, new life is budding and is on the brink of spilling out everywhere. But have you ever noticed how this change in seasons slips in slowly and under the radar? It’s not like we wake up next Thursday and all of a sudden it is Spring. The temperatures slowly warm. The plants slowly bloom. And even when spring is officially here, there still may need to be more growth. Yet the experience of spring often hits us like it did happen overnight. It almost surprises us. But it has been taking place for weeks. We just don’t often notice. I think Lent works in similar ways. It is not an overnight process. I don’t wake up on Easter morning a completely different person. There still may need to be some growth. And often the growth that does happen I do not notice right away. To be honest, I don’t like that at all. I want significant change. I want to wake up a new person. I have suffered through all of this fasting, I better see some hard-core results. And you can waste an entire Lenten season expecting this overnight transformation and being frustrated it doesn’t happen. So how do we know Lent is bringing forth new life? We know the signs of spring being on its way, so what are the signs of Resurrection becoming more present in my life? As iron cast into fire loses its rust and becomes glowing white, so he who turns completely to God is stripped of his sluggishness and changed into a new man. When a man begins to grow lax, he fears a little toil and welcomes external comfort, but when he begins to perfectly conquer himself and to walk bravely in the ways of God, then he thinks those things less difficult which he thought hard before. This is how we see signs of life. Lent can often be difficult to start. We do not want to be inconvenienced. The first week is usually filled with headaches and bad moods and protests against the disciplines we are engaging. And as Thomas explains, it is because we have grown lax. We are not used to sacrifice or denial of self. So even the slightest inconvenience feels weighty and frustrating and scary. But pretty soon, not only do we not mind it, but we actually welcome it. We think those things less difficult which we thought hard before. As Lent becomes easier, it is a signal of the sign of life. It is a signal we are living a more cross-bearing life. This is the point of Lent. It helps us be more sacrificial. It trains us to be less worried about our own comfort and pleasure. It removes the fear of losing ourselves, and frees us to do so in order for others to live. So this week, if you find your Lenten exercises a little easier, celebrate the victory. Spring is coming. Easter is coming. Resurrection is at hand. This entry was posted in Lent and tagged Lent, Life, Resurrection, Spring, Transformation. Bookmark the permalink.